Les Merrithew entered into the financial planning profession in 1980 as a tax preparer. To date, the firm has a practice of over 400 individual tax returns. Les obtained his real estate license in 1978, and his insurance license in 1982. In 1985 he became a Registered Representative and earned his designation as a Certified Financial Planner licensee in the following year. He became a Registered Securities Principle in 1987, and then a Registered Investment Advisor with the California State Department of Corporations in 1993. 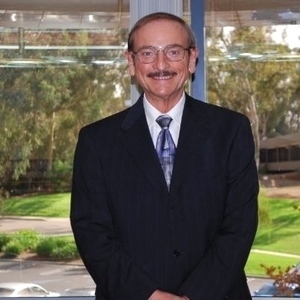 Les has lectured at San Diego State University and conducted several seminar series and introductory courses in personal finance within his local community. Through Money Quotient, Les has currently completed coursework in Life Planning, which focuses on examining the financial answers to life’s questions. Les focuses his expertise in the areas of tax planning and preparation, estate planning and administration, retirement planning and real estate. He prides himself on maintaining close client relationships. As a result of this ethos, his practice has grown primarily through the unsolicited referrals of his current clients who, on average, have been with him for 10 to 20+ years.